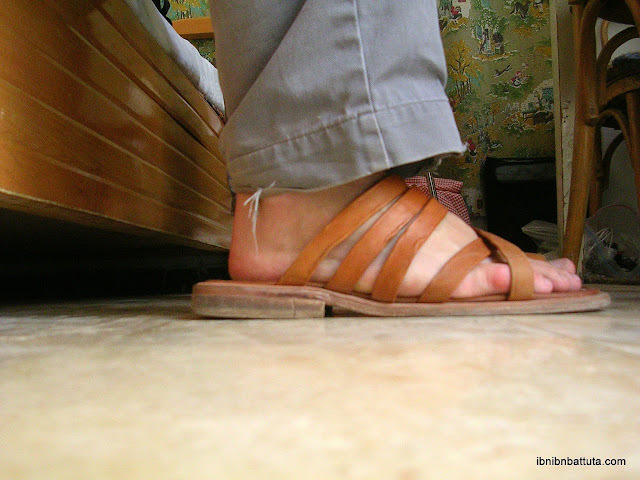 This week I picked up some great new sandals in Damascus's new town. They're just one of many awesome souvenirs I have splurged on here in the souqs, where everything is relatively cheap and the styles are all very different from back home. I also have a small new camel-hair carpet from Turkmenistan that I hope to lug back home next year, inshallah.